For the year 2014 (per MLS statistics) Ryan ranked #10 out of 730 Realtors selling 45 sides and a total production of $8,516,815. He works hard and is proud of his results and thanks his past clients and friends for their referrals which keep him so busy. Ryan is consistently a top producing agent in the Tri-County MLS. He has been awarded the Top Listing, Sales and Over all agent on numerous occasions. He has received recognition each year for high sales and production. He has earned his ABR (Accredited Buyers Representative) Designation, CRS (Certified Residential Specialist) Designation, and SRES (Senior Real Estate Specialist) Designation. In April of 2018 Ryan earned the RENE designation (Real Estate Negotiation Expert). These designations give him an edge in negotiations, customer service, finance, and changing Real Estate markets. 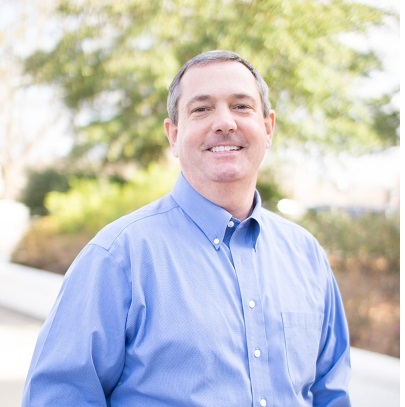 Ryan has been on the Montgomery Listing Service Board of Director from 2007-2010, he has been chairman of the MLS forms Committee (2008), and he has served on numerous committees with the Montgomery Area Association of Realtors. In 2017-2018 he is Chairperson of the MLS Professional Standards Committee. He believes the relationships formed with other Realtors within the association makes it easier to work with them on sales transactions. Civically he is very active in his sons school by chairing Muffins for Mom for 4 years, volunteering for numerous events, hosting the annual teacher appreciation luncheon 2 years ,serving on the MCPS Advisory Board as a member and then President from 2009-2011, currently serving on the school Advisory Board (2015-2017), and consistently drives for field trips and financially contributes to the causes supported by the school. He has taught at MCPS High School Campus on Real Estate and Mortgage Financing. He attends St. Bede the Venerable Church. He has served on its Pastoral Council (2006-2009) and again (2012-2015) and has been involved in many ministries including children’s church, Adoration Chapel, prayer network, and shut in ministry. He served on COPE Board of Directors (2012-2015) as well as serving on Catholic Social Services Board of Directors (2011-1014). And is currently serving a second term (2014-2017). These organization give him outlets for support to a number of deserving people in need on many different levels. Fundraising is a key element to both and he has served as Chairman of Sponsorship for each organizations primary fundraising events annually-COPE's Tailgating Live and Silent Auction and CSS Lebanese Food Festival. He is the proud father of one son, Carter Beesley , who is 19 years old. Ryan, single-handedly adopted Carter at his birth and has been an only parent. It truly takes a village and strong family support to raise a child. Carter graduated from Montgomery Catholic Preparatory School in May, 2018. Carter began attending Jacksonville State University in the fall of 2018. Ryan prides himself on service before, during, and after the sale. He has a list of trusted professionals who can help with anything from painting to landscaping to maintenance areas of the home (and all things in between). Ryan the RE/MAX Realtor is never too busy for your referrals and would gladly help you with your Real Estate needs.